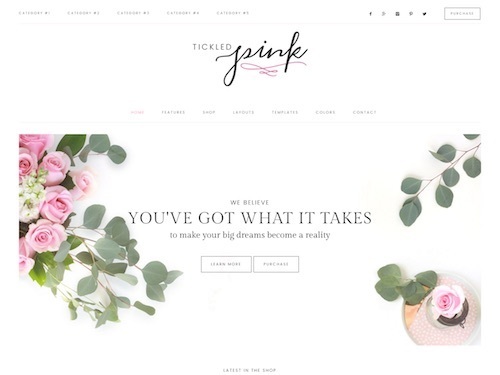 Tickled Pink is an ecommerce child theme for the Genesis Framework. The premium theme from Restored 316 Designs has a beautiful feminine design ideal for female entrepreneurs and business owners. The theme is fully compatible and styled for the WooCommerce ecommerce plugin so you can easily use the theme for an online store or anything else you like. Some of the key feature and benefits of the theme include: custom category index, custom category styling and formatting, custom background and logo upload, stock images are included, WordPress customizer support to change colors, HTML5 markup, mobile friendly responsive design, plugins styling (JetPack, Genesis Responsive Slider, Simple Social Icons, Instagram Feed, Genesis eNew Extended etc). As a child theme for the Genesis Framework you also benefit from all the other great features it includes such as: clean code, fast page load times, rock solid security, one click updates and more. The Mondree theme has its own custom ‘Event Composer’ content builder. 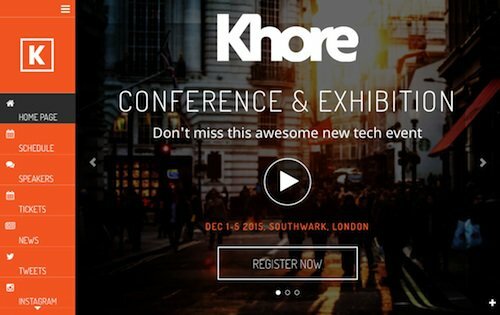 The Event Composer lets you quickly drag and drop elements (such as speakers, schedule, social media, ticket sales etc.) 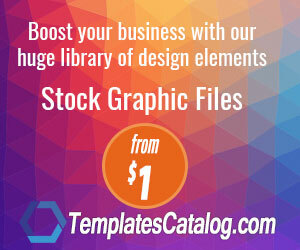 to build your pages the way you want. 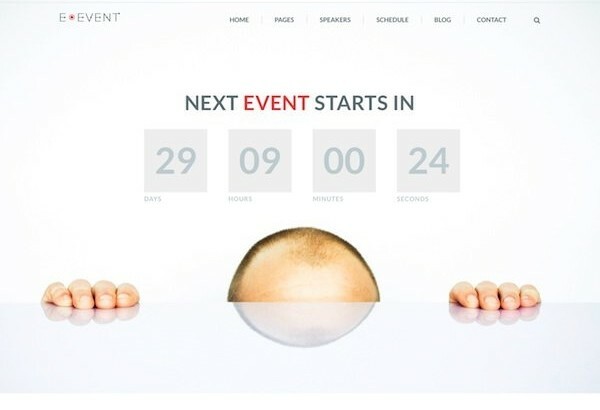 You can also customize colors, fonts, and other settings to create your own unique event website. Some of the other key features of the theme include: advanced event management (manage speakers, sessions, sponsors, tickets etc), social media integration, countdown timer, one-click demo installation, ticket sales (works with Eventbrite, EventEspresso, Xing Events, etouches, Ticket tailor etc), fully mobile responsive, easy maps and POIs, media and gallery display, blog section, image or video slider on the hompepage, integration with quality plugins (Woocommerce, Gravity Forms, EventEspresso, TicketTailor, Eventbrite, Etouches etc), and more. 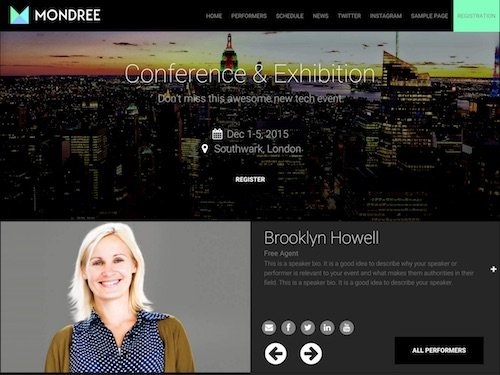 The theme has a custom homepage design where you can display all the important information about your event. It features an upcoming events carousel, counter till the next event, filterable events, two schedule layouts, several pricing layouts, speakers and events schedule, and partner’s section. The theme is built with HTML5 and CSS3 isoptimized for speed and is mobile friendly with a responsive layout.